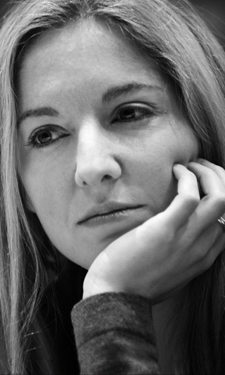 Victoria Coren Mitchell - Blog - Heresy returns! Heresy, the argumentative little radio show I host, returns to Radio 4 this week! Every Wednesday for six weeks, at 6.30pm. As you’ll know if you’ve heard it before or read about it here, it’s a comedy discussion show, in which three guests come along each week to argue against “received wisdom”. We’ve recorded three shows so far, and I have to say they’re coming out brilliantly - I think it’s the most fun series so far. Panto is an outdated art form. Drunken displays on British high streets are a source of national shame. It would be nice to live in a house like Downton Abbey. The guests were just fantastic in that recording, all three brilliant and Biggins a joy. Don’t underestimate that fellow; he’s extremely bright and properly funny. Regular blog-readers will know I can be a bit equivocal about pointing you towards stuff I’m involved in, worrying about whether it’ll be good enough, but I am awfully proud of this year’s Heresy and do whole-heartedly encourage you to listen to episode one and see what you think! Are you still a smoker? I’ll have to have a listen. Not normally a radio listener but this sounds right up my street. I take it that it’ll be available on iPlayer should I miss it? What a good radio show, laughed throughout and Biggins is quite a revelation. I like the concept, it feels different and interesting, worth doing as well as funny. Will definitely tune in next week, will Biggins be back? Pele - no Biggins next week, I’m afraid, but lots of excellent Heresy guests due in the coming weeks. I’m sure I’ll be posting their names on blogs as the series continues (on Wednesdays, if not before). Well - I’m afraid this post is nothing to do with this article [although I have, of course, read it!] but is more of a thank you. [Here it comes] Poker is a game I’ve enjoyed playing for ages - I’m just not that good at it! I am, however, getting better. And that is thanks to two people. One is my friend Greg [cheers mate! Lovely guy - likes Red Dwarf] who encouraged me to learn more about the game - the other person is Victoria. I’m getting the book for Christmas although I can’t wait - a small trip to the tree on Christmas eve? You betcha! I’ve read pretty much all Victoria’s Poker articles and they have made me think differently about the beautiful game [no - the other one]. So thanks Greg, you led me to the table. And thank you Victoria for making me think more about where I’m sitting. Well Victoria if Heresy this time is as good as you say I will be there next Wednesday - early to get in and get a drink after collecting my Indian Visa, I look forward to the show! Yesterday I saw an outdoor drunken display that could well be considered an art form. I’ve also seen a panto with Eastenders Phil Mitchell that might well be a source of national shame. Not sure if that changes anything?